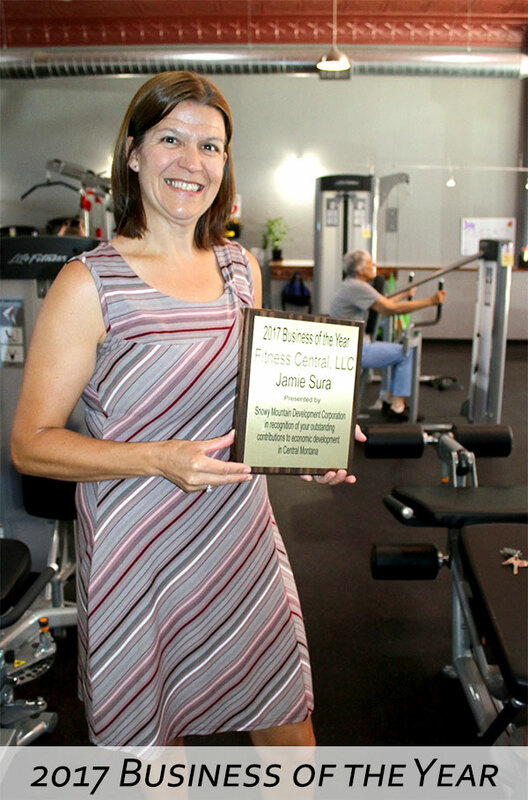 Hi, I'm Jamie Sura, owner of Fitness Central. I feel like everyone has a story to tell, and I'd like to share mine with you. My fitness story began a few years ago, when my brother died of sudden cardiac death at the age of 41. He left behind his wife and three children ages 8, 6, and 4. Needless to say, with a husband and four small children of my own, this put a lot of fear into me. I went to a cardiologist and was given the best plan of care for me to prevent a similar fate. My plan included exercising 5 days a week. After doing strictly cardio for a year, I got bored. I sought a personal trainer and had been adding weights to my home gym. My trainer set me up with a 6-week strength training plan and soon I started feeling the empowerment (and bonus of weight loss!). While working with my trainer, I became aware that there is so much positive energy in our town, it’s just spread out everywhere. It motivated me to contain all that positive energy into one place. Mike also was instrumental in putting down all the hardwood structures. “His hobby is woodworking and he was happy to do it,” Jamie said. She also said her Mother’s work ethic set a prime example for how to run a successful business.